The last two articles I spoke about some of the reasons why US patients have such broad access vs. the UK to CFTR modulators. One of the cornerstone reasons for this difference is because responsibility for payment for these drugs is spread across many private insurance companies and state and federal agencies. There is a very small segment of the US CF population that I worry about – it’s about 5% of us at max, but as a proud member of the #NoCFerLeftBehind movement, I’m concerned. Here’s why I’m worried – for most CF patients, approximately 90-95% of us, Kalydeco, Orkambi and Symdeko cost around $0-30/month. 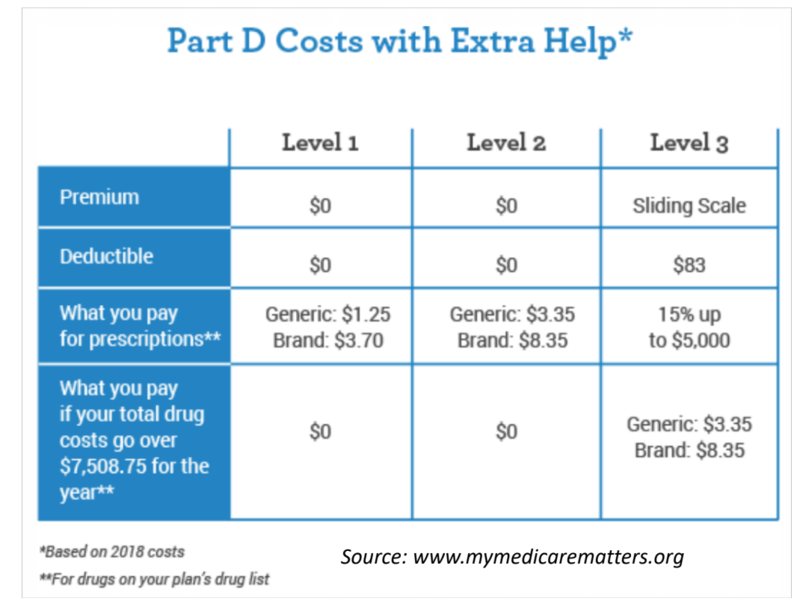 For those with Medicare – without a secondary PPO, a secondary of Medicaid, or without Low Income Subsidy – the cost of the modulators is quite high. Again, this is no more than 10% of the population, but with the triple combo hopefully coming soon, numerically this could be a good chunk of CFer’s in the US. As a refresher, 44% of the US CF population has Medicaid, according to the 2016 CFF Registry (2017 data still isn’t out, even though 2018 is almost over – annoying). Medicaid is for Americans below a certain income level, and the insurance plan is funded by both the state and federal government. People with Medicaid obtain their medications for free or close to free. 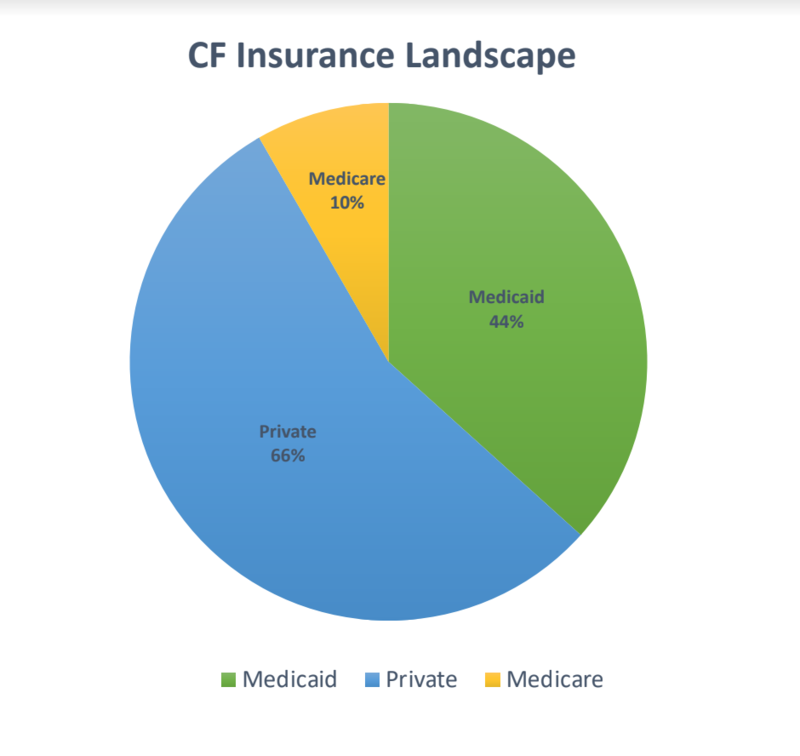 60% of the US CF population has private insurance (PPO, HMO, etc.) – which means this group of people can use manufacturer co-pay cards to reduce their out of pocket costs for brand name medications, such as Kalydeco, Orkambi and Symdeko (some states are trying to enact laws to prevent patients from using co-pay cards all together, or to prevent co-pay cards from covering deductibles or to contributing to out of pocket maximums, but that’s rare at this point). You will notice the total is over 100% – that’s because patients switch insurances throughout the year and the 2016 CFF Registry survey question allows a patient to select more than one option; some patients can also carry more than one insurance at a time. This leads us to Medicare, the center of my concern. The 2016 CFF Registry data states 10% of all CFer’s have Medicare – the federally funded program that is comprised mostly of Americans that are age 65+, or those who are permanently disabled (and a few other small categories). I can go in to many details regarding Medicare and its various iterations and permutations, but here’s the bottom line – Medicare patients can pay upwards of $18,750 per year for Orkambi and Symdeko (and perhaps the triple combo, depending upon how it’s priced). And this doesn’t include co-pays for Pulmozyme, enzymes, or inhaled antibiotics. The good news is, 20% of all Americans have both Medicare and Medicaid because they are over 65 or disabled, and are below a certain income threshold (no data is available from the CFF about the # of CFer’s that fall in this category). This matters because those with both insurances (referred to as “dual eligibles”), patients don’t pay more than $6 per medication, ever. They also don’t hit the donut hole, ever. So, when we’re looking at the cost of CFTR modulators, these dual eligible are set up to afford their medications much more easily than those with just Medicare alone. But how many CFer’s are dual eligible? We don’t know. The American CFF doesn’t track (or publicly acknowledge) this information, sadly. 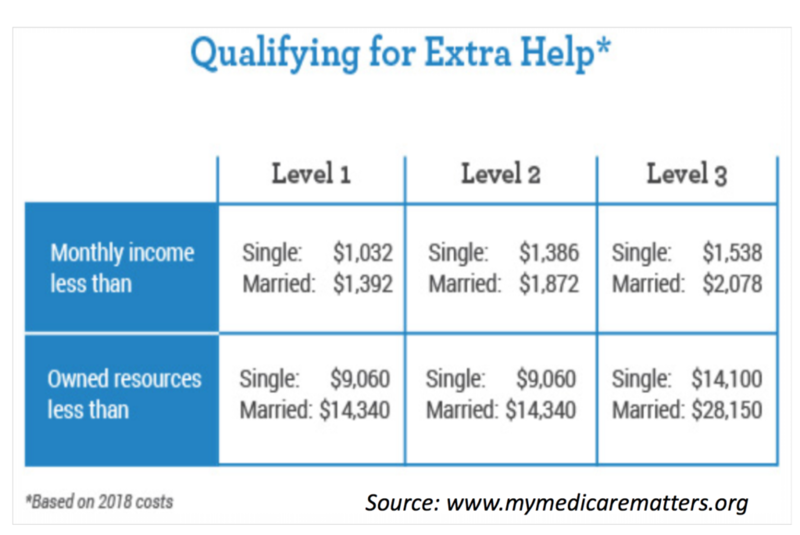 In addition to the 20% of Medicare patients who have Medicaid, another 30% of Medicare patients receive what’s called Low Income Subsidy (LIS) aka “Extra Help”–a program for those who don’t meet Medicaid income limits, but still have needs for assistance. Again, we don’t know how many CF patients have Medicare and LIS because the CFF registry doesn’t track it. “The [low income] subsidy is financial assistance with the monthly premium, the yearly deductible, the per-prescription co-payment, and continuous coverage with no gap prior to reaching [the donut hole] in out-of-pocket spending. 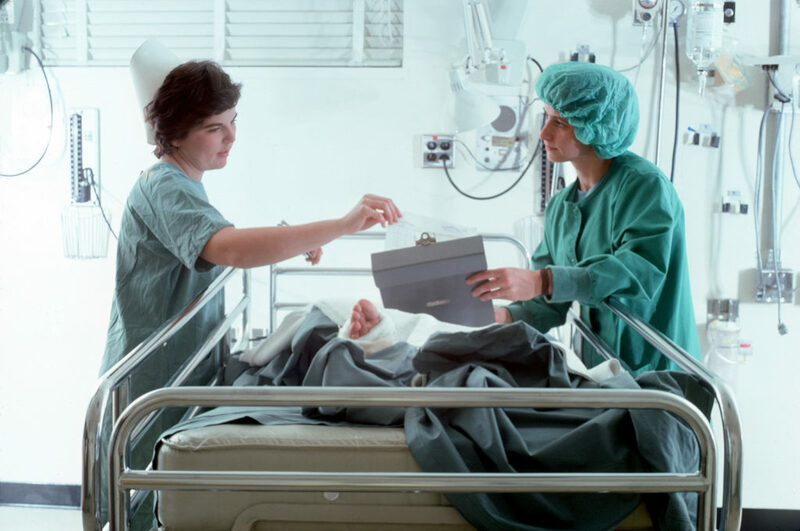 The help may be full or partial depending on the income, family size and resources of the beneficiary.” LIS can be worth approximately $5,000 to those who qualify (applied to reduction in premium and drug costs). That’s definitely a start to help with $18,750/year cost for CFTR modulators. Statistically speaking, this leaves 50% of the American population with Medicare without co-pay assistance. Does that apply to the CF Medicare population? We don’t know. But let’s assume that it does. 10% of 30,000 CFer’s in the US is 3,000 CF people on Medicare. 50% of these Medicare patients without Medicaid or LIS is around ~1500 folks with CF without co-pay assistance. 90% of these folks, statistically speaking (again, we don’t know because the registry doesn’t tell us) are either on modulators currently or will be within the next calendar year. I’m worried about these ~1500 CFer’s, and you should be too because of how much they have to pay for CFTR modulators. What’s more, the CF Medicare population may grow, both as CFer’s age, but also as more of us reach adulthood but aren’t necessarily healthy enough to work. In many instances, non-profit foundations such as Healthwell can help with the cost. The amount of money that foundations can provide varies, and so can household income requirements. As of today, Oct 31, 2018, Healthwell can provide up to ~$15,000/year to assist with CFTR modulator co-pays; however, Healthwell has an annual income limit (400-500% of the Federal Poverty Level, which for a household of 2 people in the contiguous 48 states in 2018, is $65,840/ year). Healthwell does adjust for family size, location of residence, etc. Median household income in the US in 2018 is $61,372, so again, statistically speaking we can imagine most CF households would qualify for Healthwell’s assistance (but we aren’t positive since the CFF either doesn’t track this data or doesn’t allow the community to view registry data. Sad!). $15,000/year can go along way towards a $18,750/year cost of CFTR modulators. The remaining $3,750 comes to $312.50/month, which can still be a LOT for someone with CF to pay if disabled and unable to work. We need a better solution, in my opinion, as modulator use will explode from ~40-45% of the CF population in 2018 to likely 90% in 2019. Patients can use Healthwell to assist with co-pays because the money isn’t coming directly from the drug manufacturers. Why does that matter? Again, it comes back to the anti-kick back rules – which is truly ridiculous. The irony is, where do independent non-profits like Healthwell get most of their funding? Drug company donations. The catch is, the drug companies can’t dictate where their donations go, so Vertex’s donations could be funding cardiovascular patients and Novartis donations could end up funding CFTR Modulators. It’s completely up to the independent non profit as to how the donations are used. So really, this is just a giant smoke and mirrors ridiculousness that needs to be changed because, at the end of the day, drug companies are providing co-pay assistance either through the co-pay card or the non-profit foundation. In summary, 2019 is set to be unlike any year in CF history. 90% of all people with CF should have access to CFTR modulators in the US – but everyone in the community must be able to afford them. Whether its lobbying to change the rules of co-pay card use in the Medicare population, allowing Medicare Part D plans to negotiate drug prices, having more robust or different independent non-profits to assist with Medicare co-pays, or perhaps another brilliant idea that hasn’t been discussed yet – we must think ahead and take action now to head off access issues to modulators due to cost, especially in the Medicare population. Monday Morning Thoughts: Why Does Our Culture Demand We Hide Our Chronic Illnesses?